British singer songwriter Ben Howard is now touring on his new 10 track record Noonday Dream, released on June 1 2018 by Universal Records. Reminiscent of a Martian landscape, the album art is of Howard taking a knee in the background by himself. Howard completely abandoned all elements of his music that has earned him commercial success in the past with his album Every Kingdom that was released nearly seven years ago. The artwork of Noonday Dream is much more of a symbolic representation of the atmospheric toys that Howard grapples with during the album. Playing at the Red Rocks Amphitheater the night of Oct. 1 the left-handed guitar player and singer Ben Howard invited a handful of musicians onto stage, including a cellist, a bassist, two drummers, a second guitarist and a violinist in order to fill the space with Howard’s spacious jams about peace and tranquility. 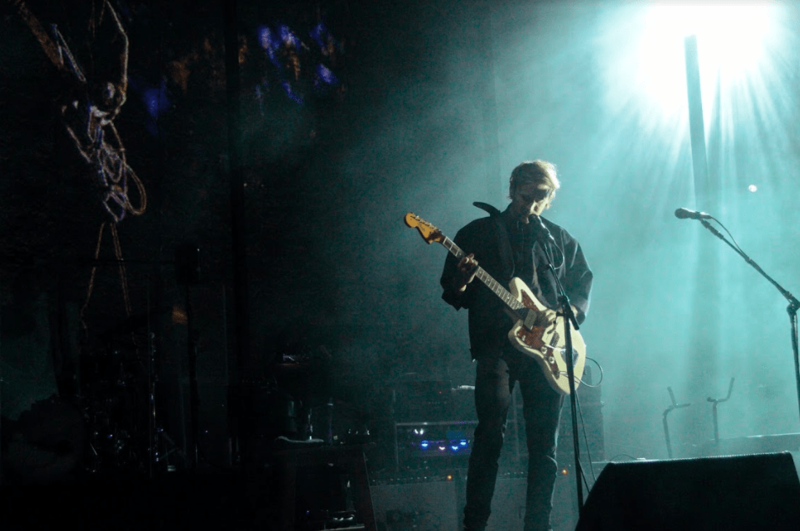 With stage lighting pointing at Ben Howard’s band from a low angle, the lighting created a shadowy stage that night, covered in fog and smoke from the fog machines. During the time that Howard and company took stage Monday night, the songs were either stuffed with wordy emotional lyrics or jammed out with slapped-back-delay spacious starry-eyed synth. As Howard would take a seat for some of his more technical fingerpicking songs that he would play on his acoustic, some of the other musicians would sit down, others choose to stand and gaze at the shadowy figures projected onto a white screen behind them. It seems that Howard would much rather spend the time performing his songs, than dancing across the stage, refusing to participate in tacky stage banter. 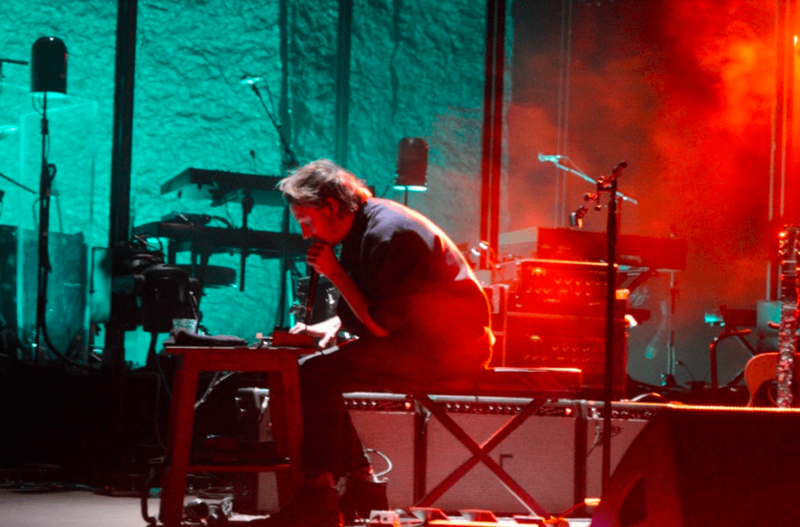 Growing and maturing as an artist, Ben Howard, now in his 30s, has played almost exclusively off his new record, showcasing the refreshing sleek sound that has come with it, abandoning old songs that have been on his setlist for too long. Completely selling out the Red Rocks Amphitheater, most attendees that night were maybe expecting tracks off Every Kingdom, his most commercially successful record, like “Old Pine” and “Keep your Head Up.” But instead the shy group of musicians chose to stick with their new style of pull off riffs slathered in delay. 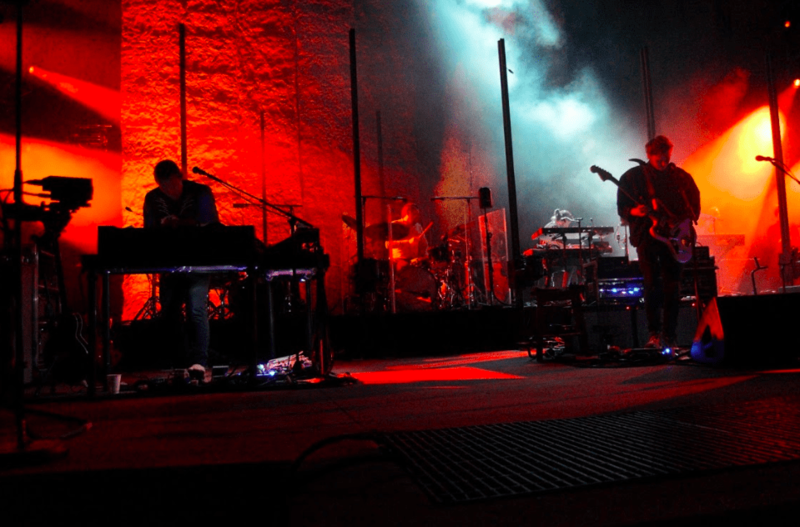 Songs like, “A Boat To The Island On The Wall,” “Hot Heavy Summer” and “Nica Libres At Dusk” were the lonely mountain songs that the Coloradans at Red Rocks night seemed to connect to the most. And as quick as the fog dispersed and the house lights came on, Howard gave a shy wave to the crowd and the show was over.